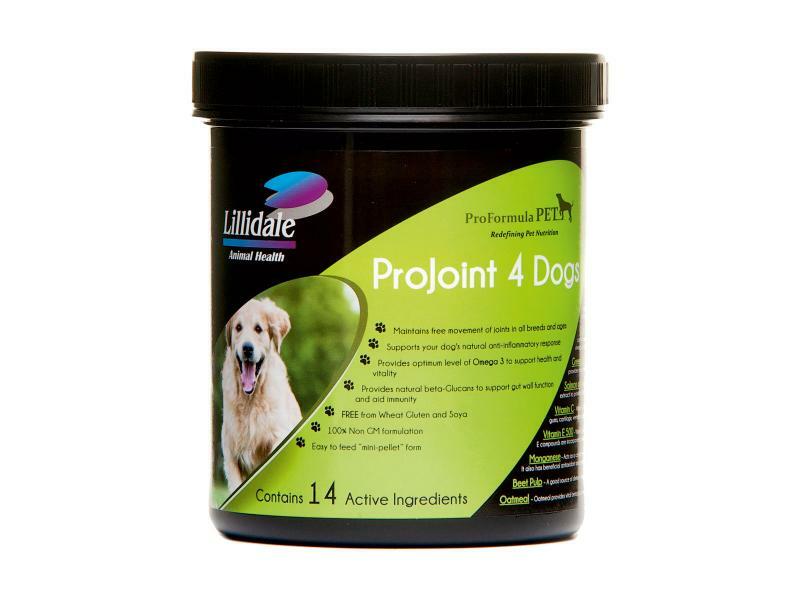 Maintains free movement of joints in all breeds and ages. 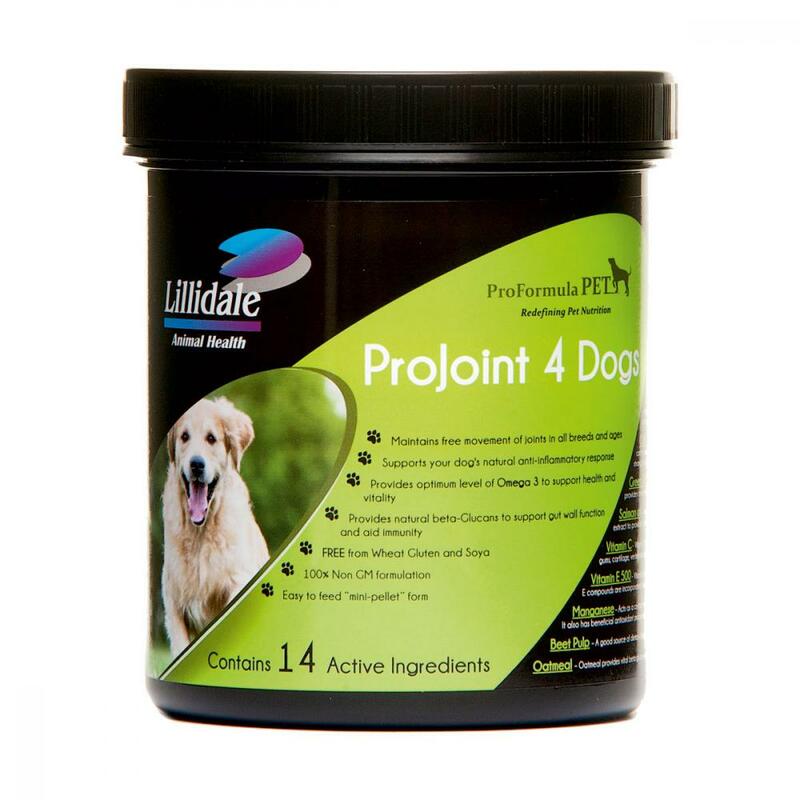 Supports your dog's natural anti-inflammatory response. Provides optimum level of Omega 3 to support health and vitality. Provides natural beta-Glucans to support gut wall function and aid immunity. FREE from Wheat Gluten and Soya. 100% Non GM formulation. Easy to feed 'mini-pellet' form. Below are some recent questions we've received regarding Lillidale ProJoint 4 Dogs, including answers from our team. This product contains 3% glucosamine so there is around 300mg per 10g scoop.